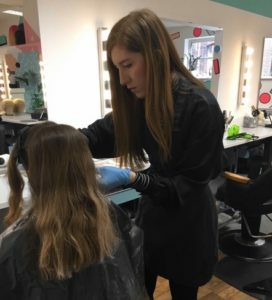 Alex Ashworth is currently completing her Level 2 Hairdressing Apprenticeship with Reflections Training Academy at Betties + Baldwins in Bristol. 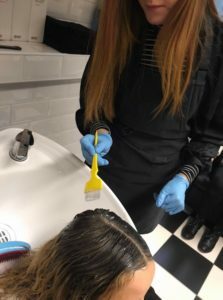 Alex is really enjoying her Apprenticeship “I’m really enjoying my time at Betties + Baldwins and I have learned a lot since I have joined. The days that I spend training are the days that I most look forward to! I love to watch stylists and ask questions about what they’re doing and why. I especially enjoy assisting on colours as it is a great way to see different techniques.